Laura Candelaria is a family nurse practitioner and assistant professor of nursing and nutritional science. Her experience includes neonatal and pediatric intensive-care, women's oncology, gynecology, obstetrics, lactation, nutrition and infertility. She has been published in "Nursing Spectrum," "Newsday" and on various websites. Vitamin B-12 is a water-soluble vitamin that must be supplied daily from either food or supplementation. When taken in excess, it is excreted in your urine. Vitamin B-12 is naturally found in animal products including fish, meat, poultry, eggs, milk, milk products and in fortified cereals and grains, reports the National Institutes of Health Office of Dietary Supplements. Vitamin B-12 deficiency is common in the elderly, those who follow a vegetarian diet and in patients with pernicious anemia. You may obtain vitamin B-12 in pill form, in a nasal solution or as an intramuscular injection. Vitamin B-12 may cause you gastrointestinal discomfort. You may experience upset stomach, nausea, vomiting and diarrhea, according to Drugs.com. These side effects may lessen over time as your body adjusts to B-12 supplementation. Taking this vitamin with food may help alleviate gastrointestinal distress. Severe vomiting and diarrhea may lead to the development of dehydration, which may be dangerous. Consult your physician if severe gastrointestinal discomfort occurs. You may develop a skin rash that may or may not itch while taking vitamin B-12. Consult your physician regarding the use of an over-the-counter cream containing cortisone to relieve such symptoms. Dizziness may be experienced if you take vitamin B-12. You should use caution while driving or completing tasks that may be dangerous if you experience such an effect. Dizziness should subside as your body gets used to taking additional B-12. Back and muscle pain may occur. 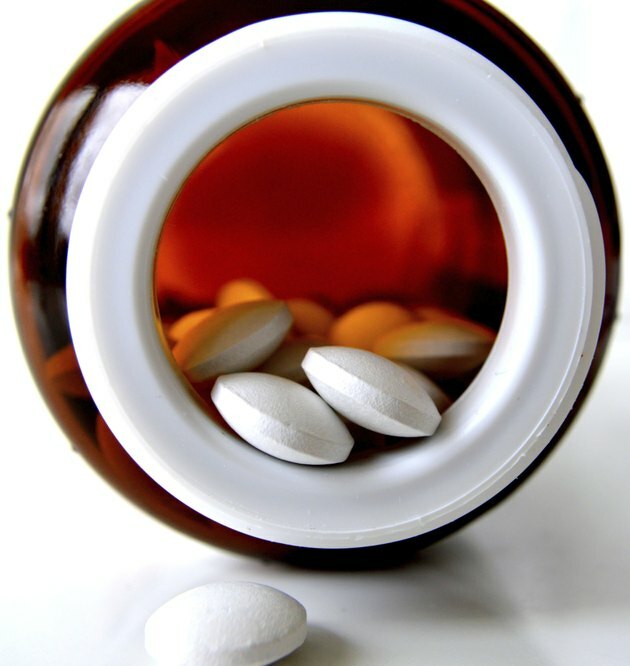 Consult with your physician regarding the use of acetaminophen or ibuprofen for the relief of occasional back or muscle pain from B-12 supplementation. If you are receiving vitamin B-12 via intramuscular injection, you may develop injection-site complications. These may include redness, swelling, bruising or pain at the site of injection. Application of an ice pack to the affected area may decrease redness and swelling while helping to minimize discomfort. Rotate the site of injection with each administration. Taking acetaminophen under the direction of a physician may lessen these effects.